Do allergies keep you from enjoying the beautiful spring weather the way you would like to? Sneezing, runny nose and itchy eyes can all be signs of seasonal allergies. I feel for people that cannot enjoy this beautiful weather because they are so miserable with allergies. 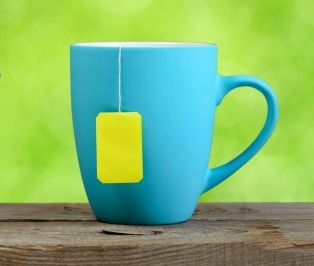 Here’s a simple tea to relieve your symptoms. Combine the herbs in a container. Bring water to a boil and place herbs in the water(1-2 tsp. herbal mixture per cup of water). Remove pan from burner and cover. Let steep 15-20 minutes, or overnight for a stronger infusion. 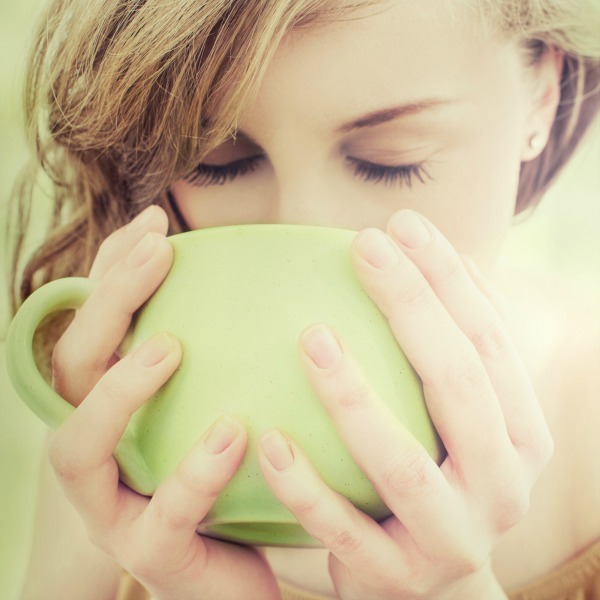 For adults, drink 1 cup 3 times a day – this will help the herbs work in your system continually and bring relief throughout the day. For children, consume half the amount as the adult recommendation. Note: 1 part to 2 parts herb means if you combined 1/4 a cup of yarrow and elder flowers, you would add 1/2 cup of eyebright and nettle leaf. Mix these herbs in a container and keep on hand to make a tea as often as needed. To buy good quality herbs in bulk, I purchase from the Bulk Herb Store and Mountain Rose Herbs. Bring a cup of water to a boil. Place 1-2 tsp. herbs in the water. Adults, drink 1 cup 3 times a day - this will help the herbs work in your system continually and bring relief throughout the day. Do you suffer from seasonal allergies? Have you ever tried any of these herbs to help? I would love to hear about it in the comments below! This post has been updated from its original publishing of May 26, 2011. Allergies can arise from being continuously overexposed to the same allergens. Over-the-counter medications address the symptoms of allergies, while certain natural remedies can help to treat the cause. 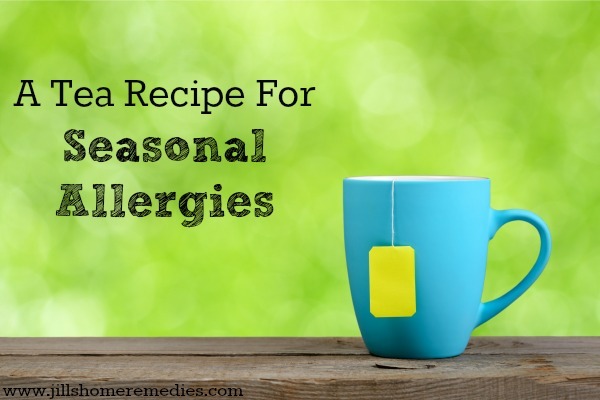 If you are not a fan of taking over-the-counter medications, below you will find alternatives to give you natural relief for seasonal allergies. Honeybees collect pollen from species of plants in a specific area. Bits and pieces of this pollen end up in the honey they make. When this honey is consumed in its raw state, it delivers manageable amounts of allergens to a person, helping to boost the immune system against possible allergic reactions to the pollen outside. To use honey as a true allergy remedy, consume a few spoonfuls a day of raw, local honey months prior to allergy season. Using raw honey is important because when honey is heated or processed, most of the benefits are killed. In order for honey to benefit allergies, it must be in its orginal, God-created state. Local honey is important when treating allergies because your body can build a tolerance to local allergies if you use honey made from local plant sources. 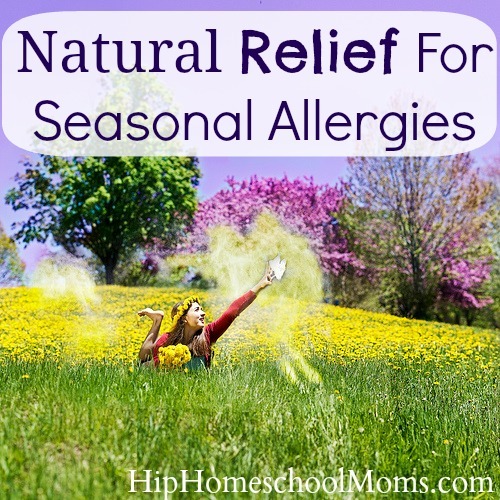 Join me at Hip Homeschool Moms for more allergy remedies!